If your business is struggling to keep up with growing data assets and risk management, you're far from the only one. Surveys of IT managers reveal that keeping up with capacity growth needs and securing redundancy are two of the most common hosting challenges today. The costs of creating a fully-redundant and sufficiently large on-premises deployment are just out of reach for many organizations. To combat the prohibitive costs of a fully-equipped, redundant data center, an increasing number of organizations are turning to colocation as a solution. By using a provider's facilities and redundancy amenities, organizations can maintain control over their assets at a cost that's not out of reach. If you're considering your options, it could pay dividends to read on. In this blog, you'll gain unbiased insight into colocation providers in the Ashburn, VA, area, so you can learn which is the best fit for your organization. Scalability: Your business will not be limited by your on-site real-estate as you need to grow and scale your infrastructure to securely store your data assets. Physical Security: The right colocation provider will offer secured entry, cameras, 24/7 staffing, and training to protect your assets from the risks of physical tampering or damages. Compliance: If your regulatory requirements dictate dedicated infrastructure or certain business continuity activities, colocation can speed your time to full compliance and allow you to maintain this status as your company grows. CapEx vs. OpEx and Predictable Billing: Capital expenditure is a measure of upfront costs, while operational expenditures can refer to monthly, recurring costs. Colocation can require lower upfront cost investment than an on-premises deployment, which allows IT departments the benefit of predictable monthly costs and some degree of financial flexibility. 24/7 Monitoring and Support: IT managers can enjoy peace of mind knowing their assets are being monitored 24/7 by a highly certified and trained engineer. Location: Depending on your business's needs, you can align with a provider whose location is convenient to you or to important business partnerships. Business Continuity/Disaster Recovery: Colocation partners can offer enormous and immediate advantages in disaster recovery, which can include local and remote backup locations, strict environmental control, redundant data, redundant power, and redundant cooling. If you're still in the early evaluation stages of considering colo, it can be helpful to think about whether the benefits are "worth it" for your company. To explore the benefits of colocation in-depth, we recommend 6 Key Benefits of Local Colocation Providers. Equinix is a global "business performance acceleration" company, with several locations in the greater Washington DC area. Equinix' data centers in Ashburn and Vienna, VA represent the "largest internet peering port in North America." In addition to compliant colocation services, Equinix customers in the Ashburn, VA area can unlock access to over 200 network service providers and interconnection potential with 750+ customers. This includes differentiated SIP services via Atlantech. For more information, we recommend Atlantech is the First to Offer Differentiated SIP Services through the Equinix Cloud Exchange. Digital Realty Trust is a publicly-traded provider, who is the world's largest global provider of data center and colocation services. Their Northern Virginia locations include several sites in Ashburn, Chantilly, Sterling, Reston, Herndon, and Vienna. Digital Realty's colocation and hosting services are not one-size-fits-all, and can include implementation and design services from subject matter experts. With a series of locations nationwide, Dupont Fabros' presence is most heavily concentrated in Northern Virginia. This includes six locations in Ashburn, VA, and additional sites in Reston and Bristow. Specializing in wholesale and enterprise customers, Dupont Fabros' service offerings allow colocation customers to design a solution based on timelines, budgets, and need for internal control. Latisys has recently been acquired by the Zayo Group, who now administers services for this 72,000 square foot, Tier-3 data center location in Ashburn, VA. In addition to colocation and interconnection services, customers of Zayo's 59 global locations can access a limited suite of business services, which include dark fiber, ethernet, and IP services. Raging Wire offers a total of 290,000 square feet to potential colocation customers in Ashburn, VA. Their services include 1 and 2-megawatt turn-key private suites, which allow them to serve their primary customer audience of retail and wholesale customers. RagingWire's colocation customers can benefit from Level 1 PCI DSS compliance, a 100% uptime SLA, and more. InfoRelay's Ashburn location is slightly outside the city limits, in Herndon, VA. According to their website, this provider specializes in "customized" colo planning and "boutique" support. Their "97% annual client retention rate" would indicate a high degree of satisfaction among their existing colo customers. InfoRelay also offers a limited menu of unified business communications to aid in disaster recovery, business continuity, and cost savings. Atlantech Online is a leading provider of nationwide unified business communications services. With colocation centers conveniently located within 30 miles of Ashburn, VA, organizations have access to colocation, fiber-optic internet connectivity, and more. Atlantech's fiber-optic data network provides reliable connectivity to businesses located in Ashburn. Atlantech's colocation customers can take advantage of remarkable power redundancy thanks to a multi-substation power grid and online battery and diesel generator backups. In addition, because of Atlantech's ground-breaking partnership with the Equinix Cloud Exchange, customers can gain convenient access to thousands of cloud services through a single dedicated port. Choosing a colocation provider should involve in-depth interviews, at least one on-site visit, and even a potential review of a provider's current client references. Your data assets are the lifeblood of your business, which is why it's crucial to ensure that your provider will keep your data safe, secure, and accessible. While the following factors aren't an exhaustive list, they're certainly important to consider when you're interviewing colocation providers in Ashburn. Effective data accessibility requires an enormous amount of power density. It's important for a potential colo provider to offer a dedicated substation, but backups are equally important. Inclement weather, human intervention, and defective hardware can cause substation failure. Ensure that a provider has a "Plan B" in place for power redundancy, which can include online battery and diesel generator backups. Temperature control is critical to protecting costly hosting assets against physical failure. In areas of the country where inclement weather is common, like Ashburn, it's especially critical for providers to invest in smart cooling controls. Not only should your provider's cooling infrastructure balance weather conditions and workload demands, it should include redundancy in case of HVAC failure. In case the worst occurs, such as a natural disaster, your organization cannot function without continued access to your assets. Full redundancy should include both local and remote backup locations to ensure customer data is safe, even if the worst happens. Additional factors that can mitigate risks can include fire suppression systems, emergency response planning, and well-trained staff. You don't want a provider who cuts corners to cut costs, even if that translates into marginal cost-savings for you. It's important to evaluate how a potential colocation provider does business, including staffing, customer relationships management, and other aspects of operations. Maintenance records, staffing, service-level agreements, and references can all help you evaluate the quality of a provider's operations and whether they have a record of going above-and-beyond the bare minimum. Physical security is an important aspect of compliance requirements and is crucial to protecting your assets. Ensure a provider offers strict facility access control, screens staff carefully, and maintains video monitoring of their facilities. If your organization is required to comply with PCI, HIPAA, SOX, or other regulatory requirements, your colocation provider should support your efforts. Request to see their most recent Report on Compliance (ROC) before making your decision. Proximity to your business is important for convenience as your organization grows and scales. In addition, a colocation center that is convenient to important clients or business partnerships can also be an important satisfaction factor to consider. Finally, consider how a location factors into business continuity goals and whether it supports your goals of safety and security against vandalism and other issues. 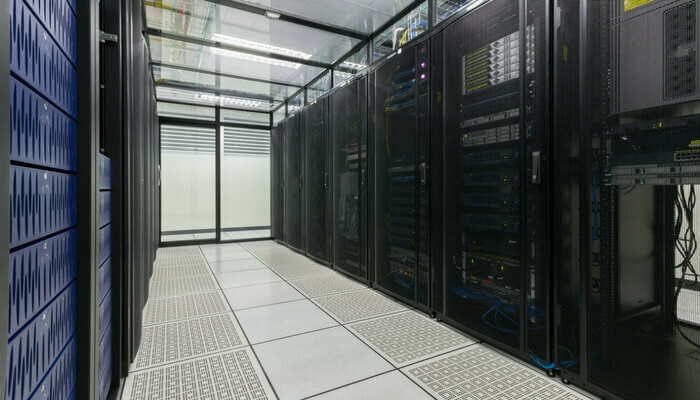 For more information, we recommend the blog How to Evaluate a Data Center or Colocation Service. Which Ashburn Colocation Provider is Best? Choosing a colocation partnership is a complex decision that involves a number of factors. In addition to cost, your organization should consider provider expertise, redundancy, security, and potential unified business communications benefits. Ideally, the right colocation provider has the ability to support your objectives and needs and assist your business for years to come. To learn more about how colocation can support your organization's goals and how to evaluate local providers, contact an expert Atlantech representative today.